Lay the flatbreads or tortillas out. Divide the lettuce, tomato, turkey breast, cheese, bacon and avocado evenly between the flatbreads or tortillas, layering in that order. 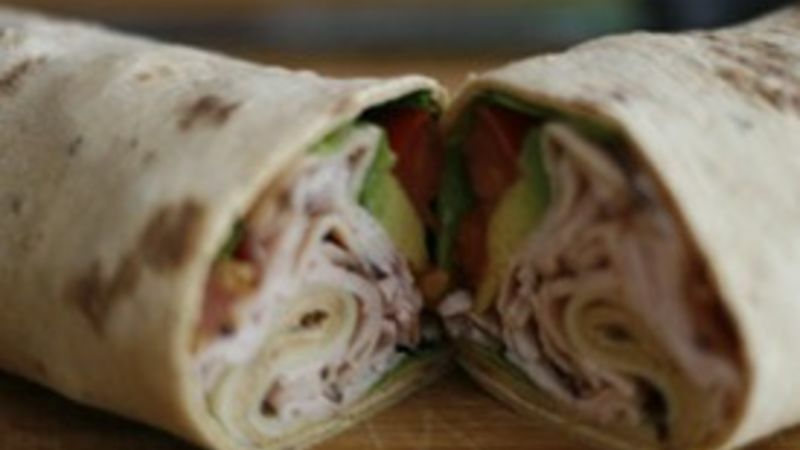 Roll the flatbread or tortilla up, making the wrap. Cut in half.